Ancient, natural and wondrous, Peru offers a powerful travel experience. 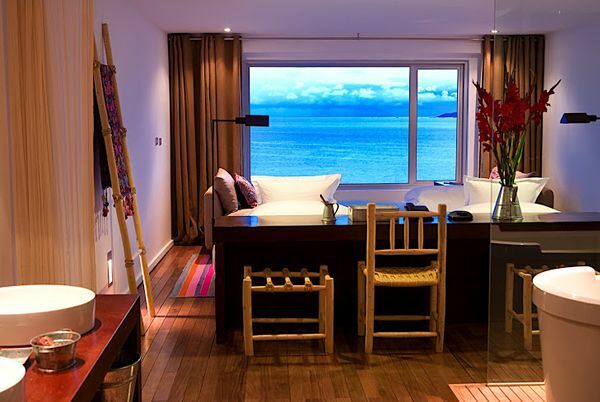 The well-earned views atop Machu Picchu, the architectural masterpieces throughout Lima and Cusco, the mystic allure of Lake Titicaca, and the flora and fauna of the Amazon combine for an extraordinary journey. Welcome to Peru! Upon arrival in Lima, you will be met by a Travel Beyond representative for your private transfer to Miraflores Park where you will spend two nights. Relax and enjoy the remainder of the evening at leisure! This morning after breakfast, you will be met at your hotel by your guide for your private Lima city tour, including lunch. Visit the historic downtown with its colorful colonial government buildings and churches, including San Francisco Church. Museo Larco, with its fascinating collection of pre-Columbian artifacts, is your location for lunch. The rest of the day is yours, to wander the Miraflores district for excellent shops and restaurants, or nearby Barranco with its wonderful art galleries. This morning after breakfast, you will be met by a Travel Beyond representative for your private transfer to Cusco. Upon arrival in Cusco, you will be met by your guide for your private transfer to the Sacred Valley. Along the way, you will pass through a spectacular panorama of patchwork fields and have a chance to see the ruins of Pisac. 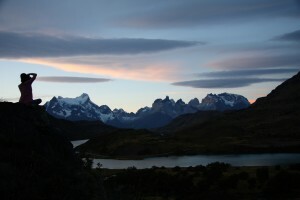 Stop at Awanakancha to see the iconic Andean llamas and alpacas. 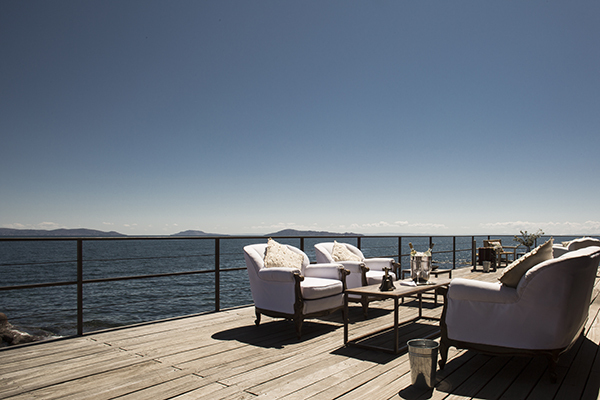 Late this afternoon, you will arrive at Hotel Sol y Luna where you will stay for two nights, including breakfast daily. This morning after breakfast, you will be met at your hotel by your guide for another private day of exploration in the Sacred Valley. Visit the charming town of Chinchero, which is sacred to the Incas as the mythical birthplace of the rainbow. Wander through the food and handicraft market in the center of town, and stop by a weavers’ cooperative where local women demonstrate the process of making intricate textiles that represent their community heritage and tell stories of their past. You will continue to the fascinating archaeological site of Moray, where you will find circular terraces which some historians believe created mini-microclimates used to grow different crops. You will also visit the ancient colorful salt pools of Maras. Originally mined by the Incans, the pools are now individually owned and tended by locals. 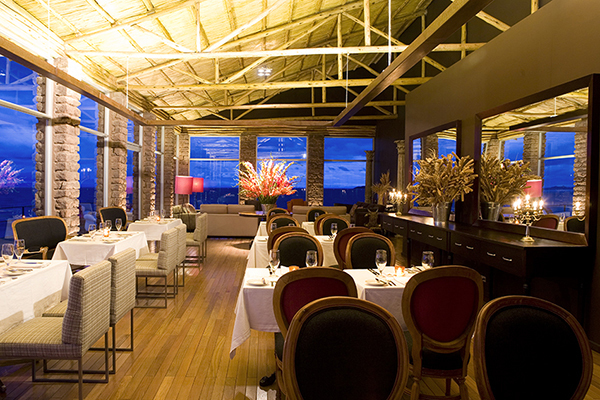 This evening, you will enjoy dinner at a charming little hideaway restaurant in Urubamba. This morning after breakfast and checkout, you will be met at your hotel by your guide for your private transfer to Ollantaytambo. You will board the Vistadome train for the 1.5hr journey to the village of Aguas Calientes. From there, it is just a short bus ride to Machu Picchu. You will spend the afternoon with your guide, who will lead you through the mysterious maze of stone buildings at this magnificent site. After your visit, you will check-in to the Inkaterra Machu Picchu Pueblo Hotel where you will stay for one night in a Superior Deluxe Room, including all meals. A wonderful dinner is included in the hotel’s restaurant this evening. This morning after breakfast and checkout, you can choose to return to Machu Picchu for further exploration with your guide or climb the challenging Wayna Picchu Mountain. You may also choose to relax and enjoy the surroundings at your hotel, where you can wander the trails in search of more than 300 species of orchids and a variety of brightly-colored hummingbirds found on the property. You will return to Ollantaytambo aboard train, and then be met for your private transfer to Inkaterra La Casona in Cusco, where you will stay for two nights. This morning after breakfast, you will be met by your guide for your private half-day Cusco City Tour. Visit ancient Inca temples, Spanish churches and the surrounding ruins of Sacsayhuaman, Qenko, Puca Pucara and Tambo Machay. Your guide will also direct you to shops, museums, markets and restaurants where you can shop, dine and explore on your own. 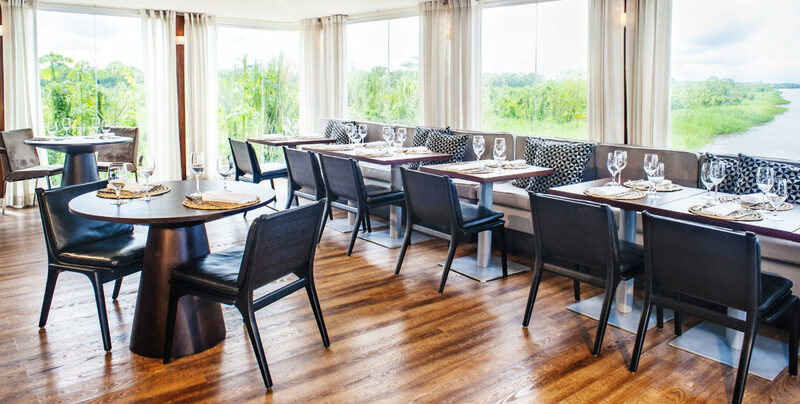 Enjoy lunch at a popular local restaurant, then spend the rest of your day at leisure. 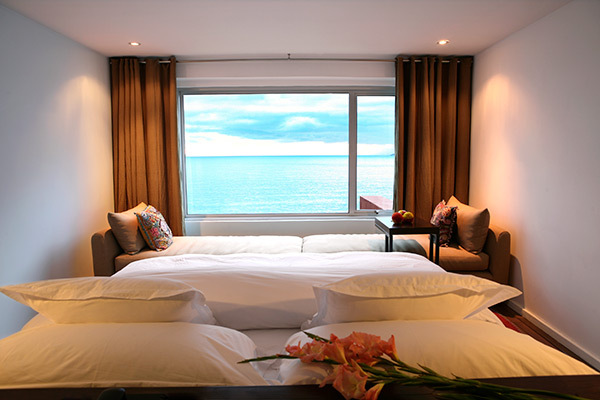 After breakfast, you will have your morning at leisure. Wander the cobblestone streets of Cusco in search of treasures, lovely architecture or stop at one of the cafes for people watching. This afternoon, you will be met by a Travel Beyond representative for your private transfer to the Cusco Airport for your flight to Juliaca. 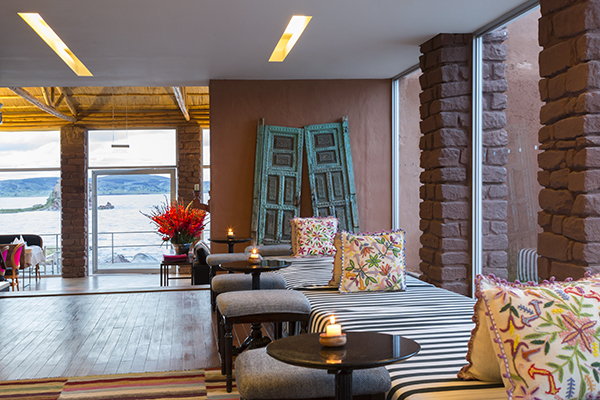 Upon arrival in Juliaca, you will be met by a Travel Beyond representative for your transfer to the lodge on the western shore of Lake Titicaca, where you will stay for three nights, including all meals and activities. 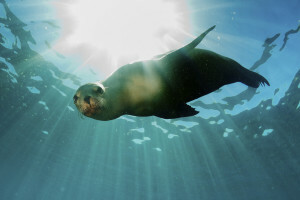 Each day, you will have your choice of a variety of excursion options. You can choose to join small groups of fellow travelers to visit the floating reed island of Uros or the nearby island of Taquile, known for its impressive textiles. 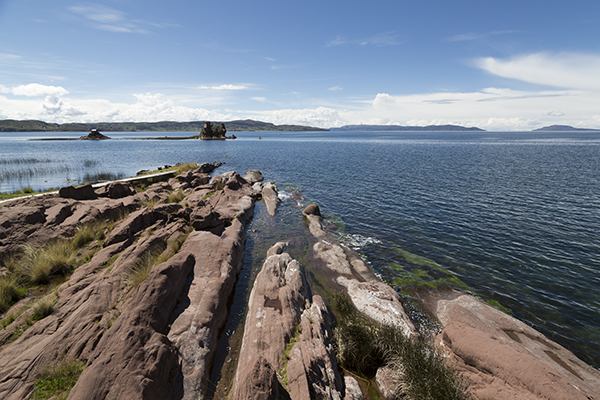 Hiking, kayaking and biking are offered around the lodge, or visit local villages and archaeological sites. Titilaka will be a cultural highlight of your Peru adventure! Today, you will be transferred to the Juliaca Airport for your flight to Iquitos, via Lima. 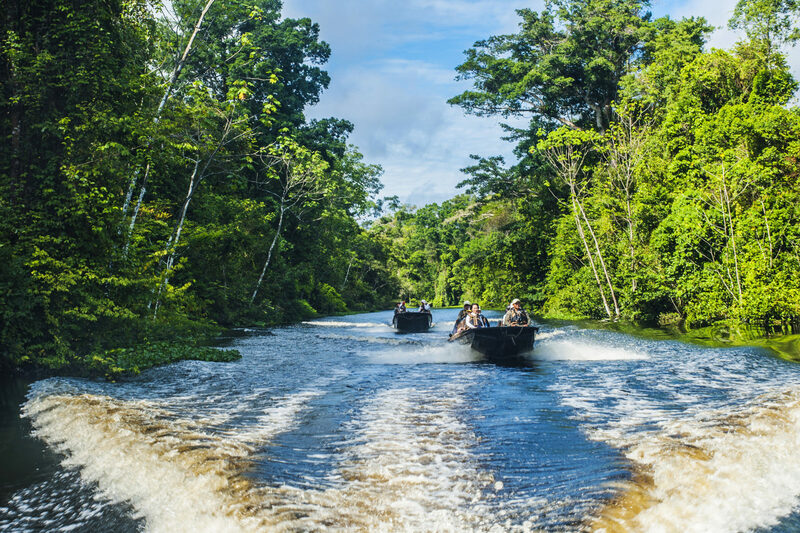 Upon arrival in the remote, colonial city of Iquitos, you will be met by for your shared transfer to the Aria Amazon, your home for the next three nights. 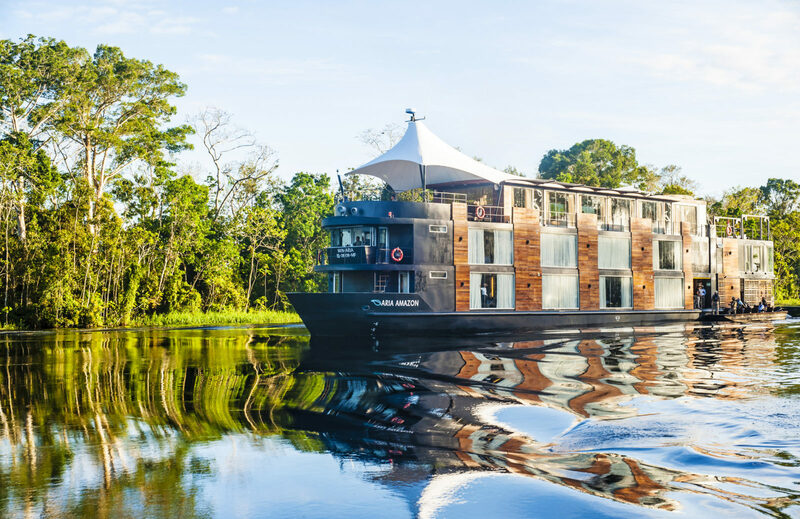 Your luxury cruise will transport you in exceptional comfort, deep into the Amazon rainforest, along the Marañon River, the Amazon’s largest tributary, as well as other neighboring rivers (the Yarapa and Yanayacu-Pucate), each one rich in vibrant wildlife and thriving rainforests. 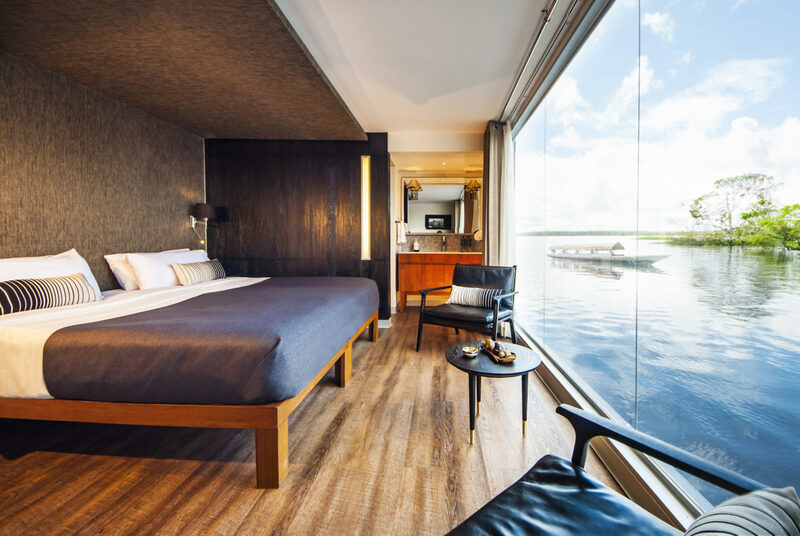 Settle into your beautiful suite before meeting your naturalist guides and the cruise director, who will use videos, photos, and maps to explain the details of your adventure to follow. Over the next three days, you will be on a spectacular journey to a place visited by only a very few of even the most experienced world travelers. Go fishing for the many species of Amazon fish, explore into the dense jungle on foot in search of three-toed sloths, toucans, macaws then come back to the comfort of our skiffs to meet taricaya turtles in their natural habitat and hunt for endangered pink dolphins, unique to the Amazon, at play. 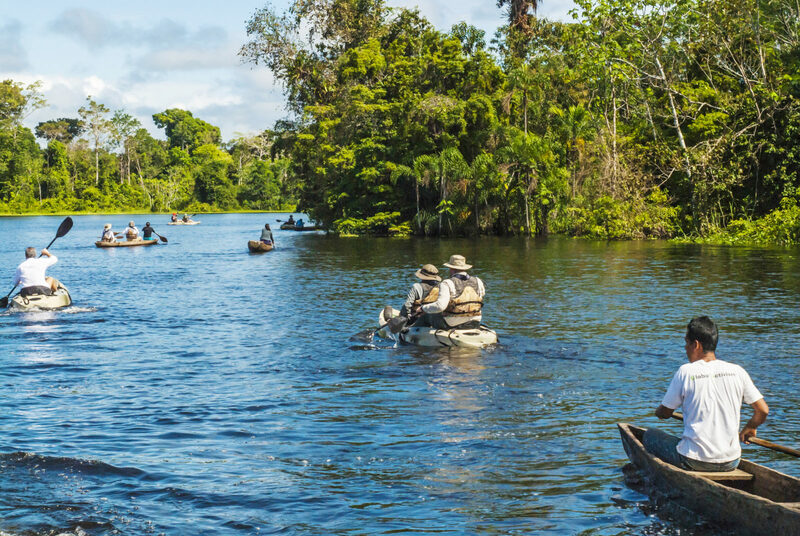 As the Aria Amazon journeys towards the union of the Ucayali and the Marañon Rivers, considered the birthplace of the Amazon, learn from our experienced, English speaking naturalist guides about the diverse Amazon wildlife and birds of the Pacaya-Samiria National Reserve. Tonight, sit down, relax, sip fine South American wine, toast to the beginning of a beautiful journey, and enjoy the innovative Amazonian cuisine created by Executive Chef, Pedro Miguel Schiaffino, whose restaurant, Malabar, is the one of Lima’s top ranked dining experiences. Schiaffino’s imaginative use of local products – fruit, fish, spices – makes every meal a delightful adventure. 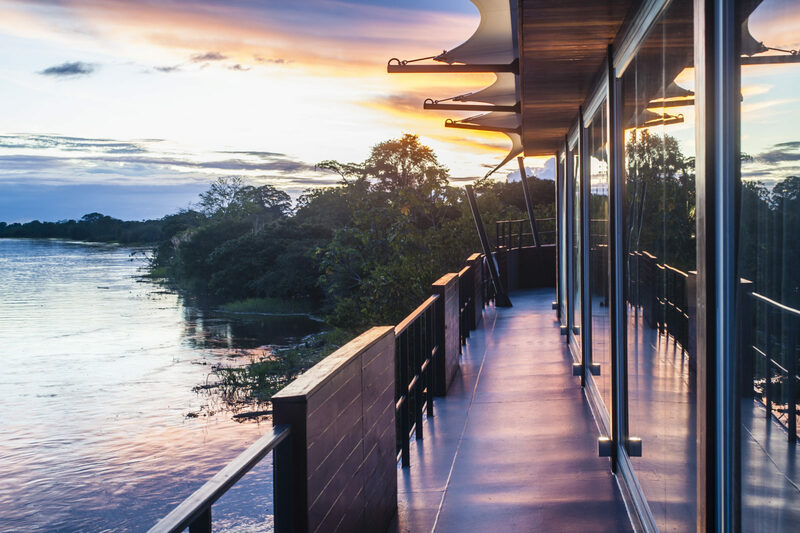 Be up early to catch your first glimpse of the majestic Amazon River, as you watch the sun come up over this green world filled with wonderful wildlife. 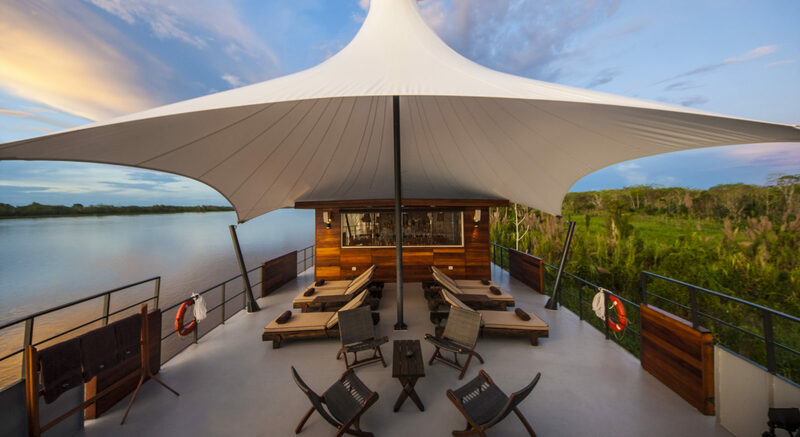 Board the state-of-the-art skiffs to sail from the Amazon River to the Yarapa River. Keep your binoculars ready to spot sloths and tropical songbirds, black collared hawks. You will have a chance to go fishing for Amazonia’s notoriously ferocious piranhas, while your naturalist guides share stories of Lake Moringo. 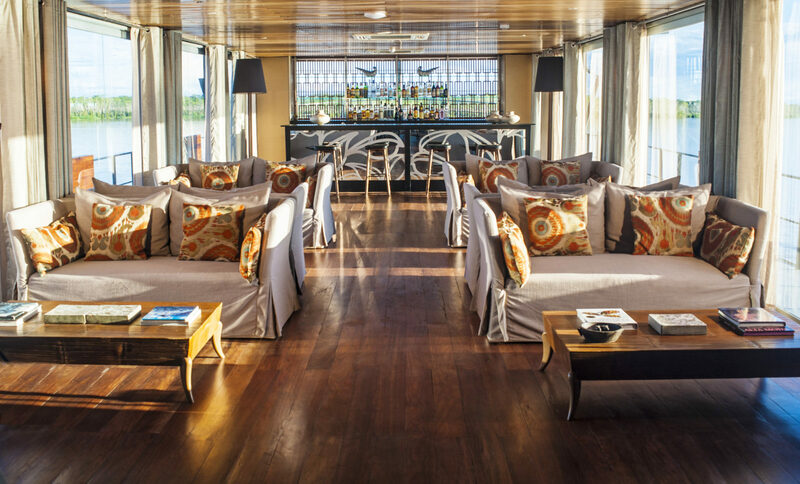 After returning to the boat for lunch, you may attend a lecture on the flora and fauna of the region, or simply relax on deck or in your well-appointed suite. As the sun sets, you will head off on an evening’s wildlife excursion with extraordinary stargazing on the black waters of Nauta Caño. Listen as the nocturnal animals of the jungle begin to make themselves known. 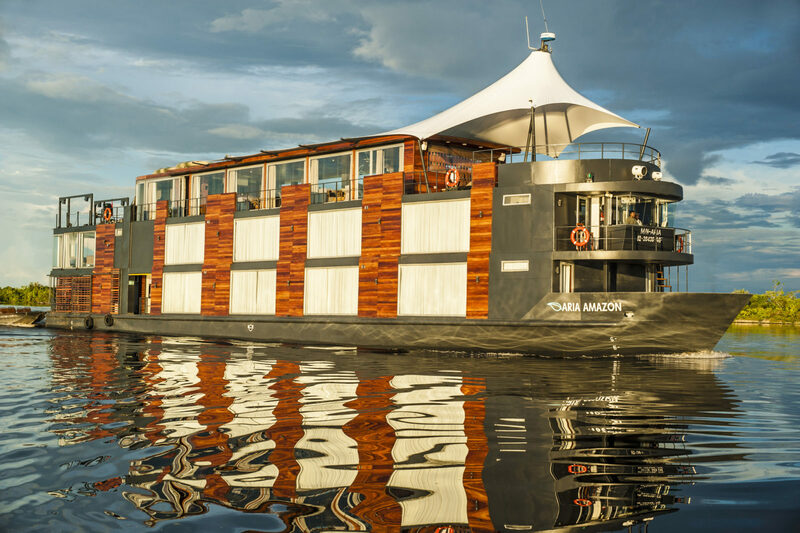 Following your excursions, return to the boat to freshen up and sip a classic Peruvian pisco sour on the Upper Deck while watching the sunset. Rise with the sun to explore a ‘lost river’ along the Marañon River. After breakfast, take a jungle walk, crossing suspended bridges and bushwhacking into the high ground forest. Later, swim, canoe or kayak in Yanayacu-Pucate River as you look for legendary pink river dolphins. 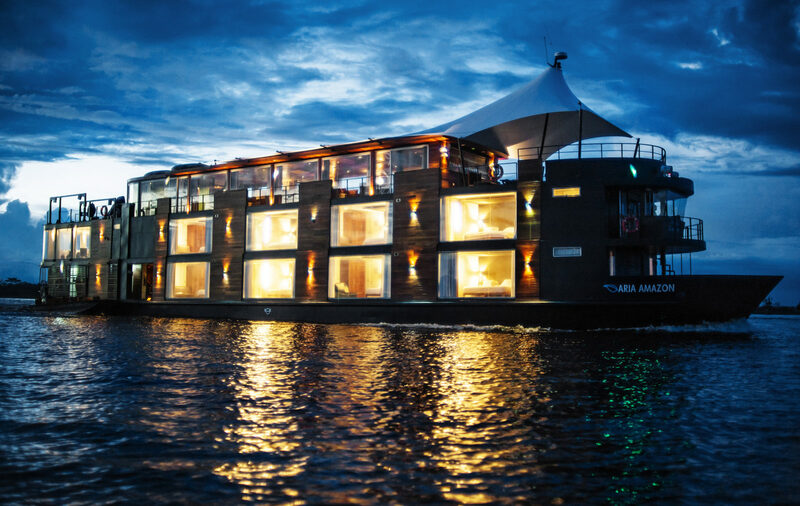 Return to the Aria Amazon for a crew presentation, dinner, and your final night onboard. You may want to focus the boat’s hi-tech telescope on the night sky to identify the planets and constellations in the southern sky. 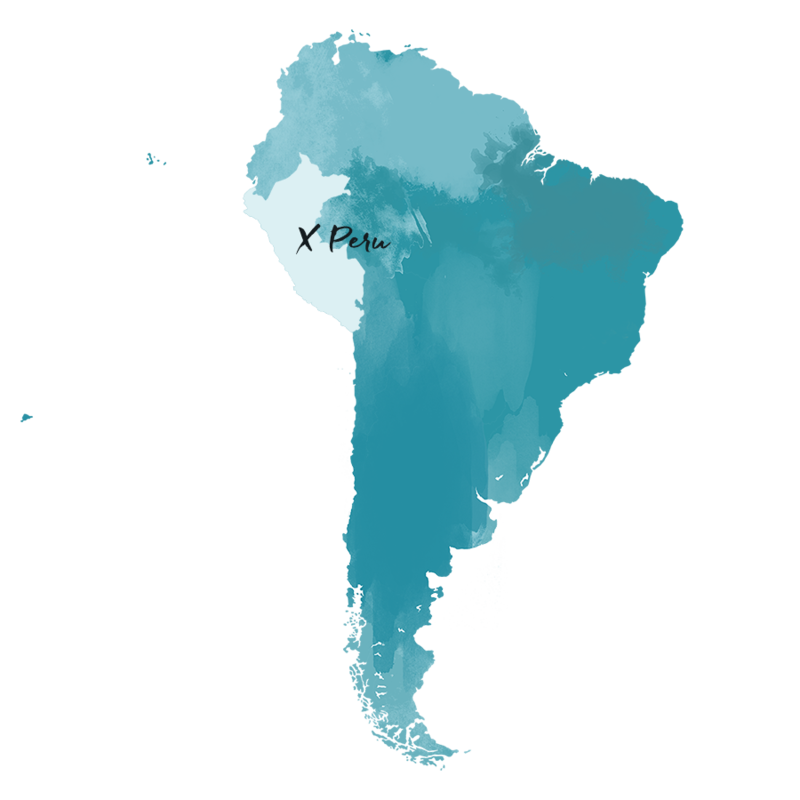 This morning, you will witness one of the great spectacles of the Southern Hemisphere, the birth of the Amazon River, followed by a short botanical walk to meet a shaman whose knowledge of spiritual healing has been passed down for generations. Return to the Aria Amazon for the final lunch with your fellow adventurers. This afternoon you will depart for the Iquitos Airport. En route, stop in Nauta where villagers from around Amazonia come to sell their harvest. Continue to the Iquitos Airport for your flight to Lima and your international flights home.